The holidays are right around the corner! Thanksgiving is less than one week away. We’re all excited to see our extended family in a short while, but we also know what this wonderful holiday brings with it. The main activity that brings all our family and friends together on Thanksgiving is eating a large and filling dinner. 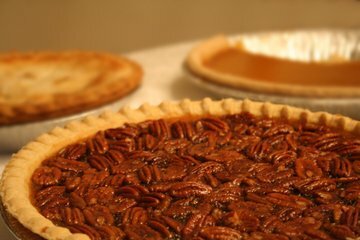 We all love that turkey, mashed potatoes, stuffing, gravy, yams, cranberry sauce, and pecan pie for dessert. However, this holiday makes it very hard for us to stick to a healthy diet. Remaining at a healthy weight and eating nutritious foods is vital for both breast cancer survivors and those at risk of breast cancer. Obesity, for instance, is a big risk factor for this disease. So you’ll definitely want to avoid gaining too much weight during Thanksgiving and the holidays. We at the Breast Health & Healing Foundation would like to help you achieve this goal of staying at a healthy weight. Below we outline a number of tips for staying healthy during Thanksgiving. The publication Real Simple gives you a good idea of what to do when filling your plate with goodies during Thanksgiving. You should first fill up at least half of your plate with vegetables. Then add turkey or other protein to a quarter of your plate. Make sure that starches like mashed potatoes or sweet potatoes only take up one-quarter of that plate. Another smart idea is to start out your dinner with a bowl of soup. Getting yourself a seasonal vegetable soup will make you feel a bit more full and less likely to eat too much during the main meal. A great option is to have some butternut squash soup. Or you can bring a side to the party such as some vegetable soup including carrots, potatoes, and peas. Starting with some soup will help you eat smaller portions throughout the night. In fact, you could end up eating fewer calories during the main portion of the dinner, which would keep your weight at healthy levels and prevent cancer. As we said before, add half a plate of vegetables to your plate. And if you want seconds, focus on those veggies again. Be sure the vegetables you choose are not starchy. So you can take some brussels sprouts, carrots, green beans, or a nice salad with bell peppers and greens. When it comes to other vegetables like potatoes, corn, yams, or squash, be sure to have smaller portions since these tend to have more calories. These recipes also tend to have greater amounts of butter and even sugar at times. And if you are in charge of cooking, be sure to use lots of colorful vegetables in your dishes. When flavoring, avoid excess butter or sugar and focus on using herbs, spices, onions and garlic. For example, make some Brussels sprouts with garlic or grill some green beans using red pepper flakes for flavor. The National Comprehensive Cancer Network reports that cancer survivors should eat at least five servings of fruits and vegetables per day as well as lean proteins and low-fat dairy products. Limiting alcohol during the holidays is also vital for cancer survivors. The main course would never be complete without a big and beautiful turkey on Thanksgiving. However, there are certain ways you could make that turkey on your plate unhealthy. We often add too much gravy, take turkey pieces with lots of skin, and put a ton of cranberry sauce on top as well. If you want to eat a good amount of turkey while still staying healthy, you’ll want to choose skinless white meat and avoid adding too many things on top. Fill up a quarter of your plate with turkey. If you’re still hungry, you can add another small portion for seconds but be sure to pick skinless white meat. If you have room for dessert, be sure to ask that the pie is sliced into at least eight pieces. And if you find the pie was only sliced into six, cut that slice in half and share it with your spouse or child. Try to avoid adding ice cream or whipped cream to your pie. If you’re still hungry and want that ice cream, be sure to add only a golf ball-sized amount to your slice of pie. The fewer sweets you eat, the better off you’ll be. There have been studies done showing that cancer cells thrive on sugar, so you’ll want to limit sugar to lower your risk of breast cancer. We hope that these tips will help you have a more healthy Thanksgiving dinner next week. Enjoy the time off with your friends and family! For Thanksgiving, I would just have a turkey leg with no stuffing nor gravy and eat plenty of vegetables and only have a tiny slice of pie. For lunch or supper, I would eat something completely different since I only eat meat once a day.